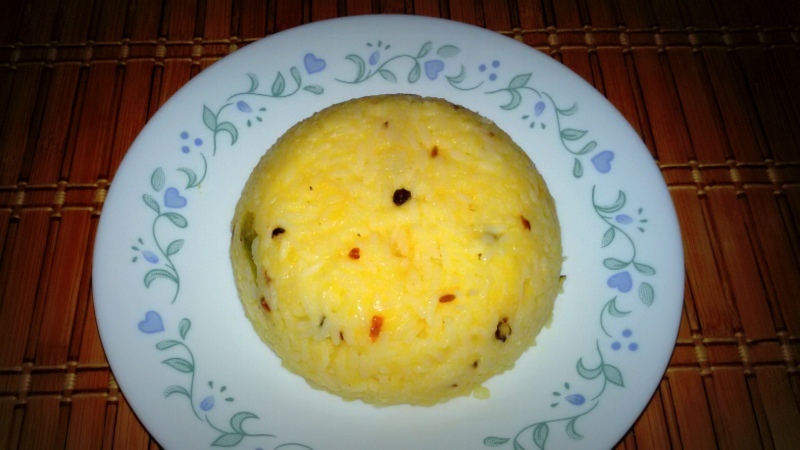 Pongal is the most simplest and easiest breakfast recipe. One of my favorite comfort food, also it reminds me so much of Bangalore. I have lived in Bangalore for couple of years and fell in love with the place soon. Though I missed Hyderabad kind of food lots…I did find some great places with great food…one such place was this small hotel that served the Pongal with boondi raitha and mango thokku. Every south Indian tiffin center after Idli and dosa proudly serves Pongal….made with beautiful combination of dal and rice tempered with spices and nuts sauteed in Ghee. I never tasted pongal before and the first time I had at this place just became such a memory. We went there pretty often for breakfast and met lot of foodies who told us different ways of enjoying pongal. Coconut chutnet, sambaar, and any vegetable gravy will be perfect accompaniment. Pongal is pretty easy to make. 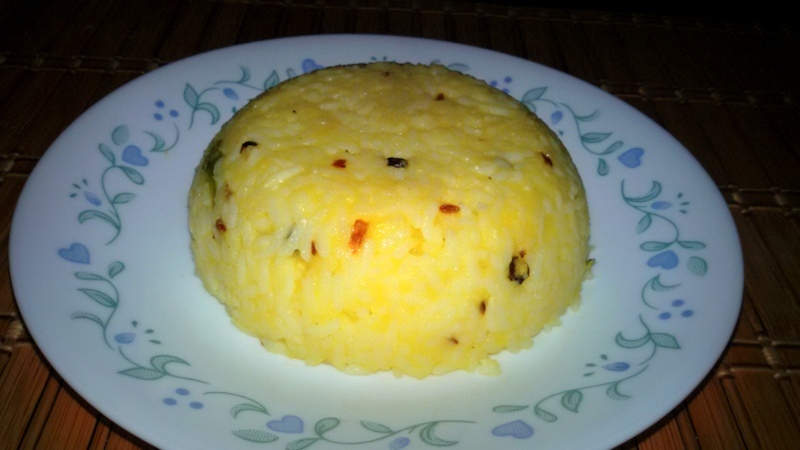 2 simple steps…1 Cook rice and dal, 2 Add tadka/seasoning. Sometimes I find it is tricky to get the right consistency. Also I recommend using ghee than oil as it helps the pongal to have moisture. 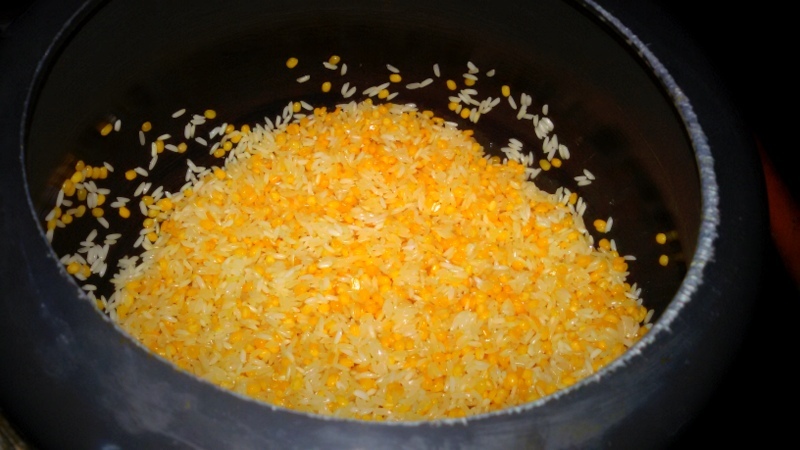 Depending on the type of rice we should adjust the water level to cook dal and rice. In a pressure cooker dry roast rice and dal for couple of minutes. Then add water and cook them upto 3 to 4 whistles. 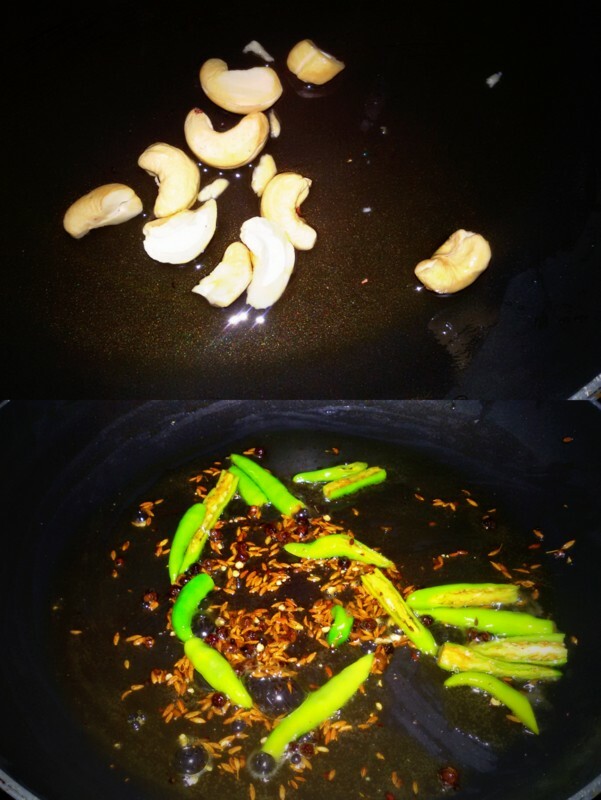 Take a nonstick pan add ghee, roast cashews until golden colour and keep them aside. Then add crushed cumin, crushed pepper, hing, green chillies, curry leaves and fry for few minutes. Add the cooked rice and dal to the tadka, top them with cashews and serve hot with spicy chutney or mago pickle! If the cooked dal and rice looks dry, don’t panick! Just add lil water while adding it to the tadka and get right consistency. I like it sticky so I always add extra water while cooking them only. I have also added veggies couple of times and it tastes good too, you can try that also. Avoid using oil and use ghee only, this changes the taste and flavour of the pongal alot.